While online ordering is a must-have for many businesses, a printed catalog can provide a great supplemental marketing tool for your website. Many people still prefer perusing catalogs at their leisure without being connected to a computer. For these customers, a printed catalog provides increased exposure to a wider variety of products. In addition, catalogs can be easily shared with others and offer staying power…with a message that can be seen again and again. * Include a mix of customer testimonials that give readers a more consumer-centric look at your products. * “Tell your story” by including background information about your business and the history of your products. * Cross-sell complementary products through suggestions in the product copy, call-outs, or the placement of companion products together. * Feature best-selling products in the upper right-hand corner, where the eye is naturally drawn when flipping through a catalog. * Think small. If you have a frequently changing product line, consider a mini catalog booklet that offers a brief overview of your product line with colorful product photos to pique interest. Refer readers to your website for an extended product line or more in-depth information. * Include an order form. While few customers mail in their order, many will use it to organize their orders before ordering online or calling. * Include seasonal inserts that can be easily updated for relevant sales and offers. Remember, the more information customers have about your products, the more confident and satisfied they’ll feel with their purchasing decisions. * Send teaser pre-show mailers that encourage prospects to visit your booth. Include a raffle ticket for a giveaway, promote a prize drawing, or encourage recipients to stop by your booth for a free giveaway item. * Consider a theme for your booth, such as a Hawaiian theme, coffee shop theme, or sports-related theme. If you don’t want to go the theme route, simply wear attire that is appropriate for the products you’re selling. For example, if you sell ski equipment, you could dress in ski apparel and offer visitors hot cocoa and free demos. * Attract visitors with a delicious treat they can’t resist, such as homemade cookies, cupcakes, ice cream bars, cinnamon rolls, or even full-size candy bars wrapped with your marketing message. * In addition to having a widescreen display that offers engaging, informative content, videos, and product highlights, remember that print materials (including business cards, brochures, and flyers) are a must for ensuring visitors will remember you after they walk away. * Use a spotlight to draw attention to a new item or promote a “show special” or “best seller” item. Consider offering a significant discount for placing an order during or within a few days of the event, and have promotional flyers ready to pass out detailing any exclusive offers you provide. * Be on the ball when mailing follow-up information. If you’re on the road, email someone at the office daily with requests to send info packets immediately. * Consider sending a lumpy mailer shortly after the event that includes a thank you card or flyer featuring a photo of you and/or your booth (to spark memory), a small promotional item, and a sample or trial offer of your product. You may also wish to promote an extension to any exclusive offers you marketed at the event. Let us know if we can help you create stunning marketing materials that will not only spread the word but also help turn prospects into customers! Anyone who’s spent time in sales knows that the buying process often boils down to one or two key questions: Why should I buy what you’re selling? And why should I buy it from you? A well-conceived value proposition will go a long way toward answering those questions. But what is a value proposition? Simply stated, a value proposition is a brief statement that clearly outlines the benefits customers get from using your products and doing business with your company. It cuts through all the noise and focuses squarely on the customer and their needs. So how can you create an effective value proposition? Here are six tips to get you started. Get to know your customers. What makes them tick? What principles do they value? What challenges do they face? And how can your product or service help them reach their goals? Study the competition. Start with their website, product line, and marketing literature. Visit their facility, meet their staff, and talk to their customers. Learn how they’re positioning themselves and what you can do to counteract their claims. Discover what makes you different. Take some time to assess your own company. Look at your culture, values, and product line. Ask your top customers why they buy from you. Get input from your employees, too. Find out what’s unique about your company — and how those qualities can benefit your customers. Focus on benefits instead of features. Benefits tend to be more customer-focused, while features can seem self-absorbed. If your value proposition doesn’t tell your customers what’s in it for them, keep trying. Be specific. Avoid the temptation to talk in generalities. Consider Geico’s “15 minutes could save you 15% or more on car insurance” versus a more generic “we’ll save you time and money.” Both may be true, but the first is far more specific. Make it tangible. What real-world results can people expect from your products or services? Will they save time? Cut expenses? Improve efficiency? Increase revenues? Include the answers in your value proposition. There you have it: six tips for strengthening your value proposition. Can you think of any others? Or maybe you’d like to share a favorite value proposition (your own, perhaps?). Whatever the case, we’d love to hear your thoughts and ideas in the comments below. It’s important to understand how your business compares to your competition, especially when marketing your products or services. 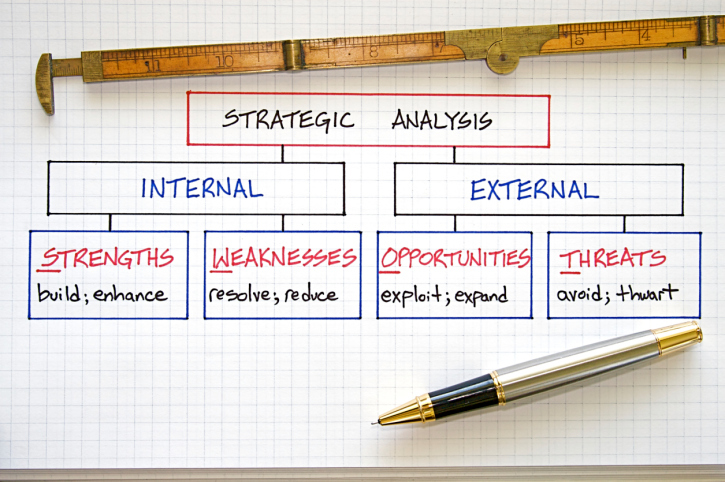 By creating a SWOT analysis, you can gain helpful insight to your business success. * Strengths refer to what your company does well. List all positive attributes and advantages you have over your competition, such as an industry-leading warranty, in-house support staff, outstanding reputation, or established customer base. * Weaknesses include areas you need to improve in order to better compete. Examples might include high pricing, inferior products, limited resources, poor location, and so forth. An outside viewpoint of your company’s weaknesses can be very valuable, since company perceptions lack the customer perspective. * Opportunities refer to external chances for your business to grow and prosper. Opportunities typically occur when markets grow, demand for products increases, or you’re able to provide new solutions to a common problem. * Threats include external factors beyond your control, such as consumer trends, technological developments, business mergers, government regulations, political decisions, economic downturns, the like. While many things could threaten your business, give most consideration to items with a greater probability of occurring. After completing your SWOT analysis, you should not only make a plan to reduce your weaknesses (either by minimizing the risk they represent or making changes to overcome them), but you should also ensure your marketing materials highlight your strengths to their full potential. If you need help upgrading your print materials, give our creative team a call today. 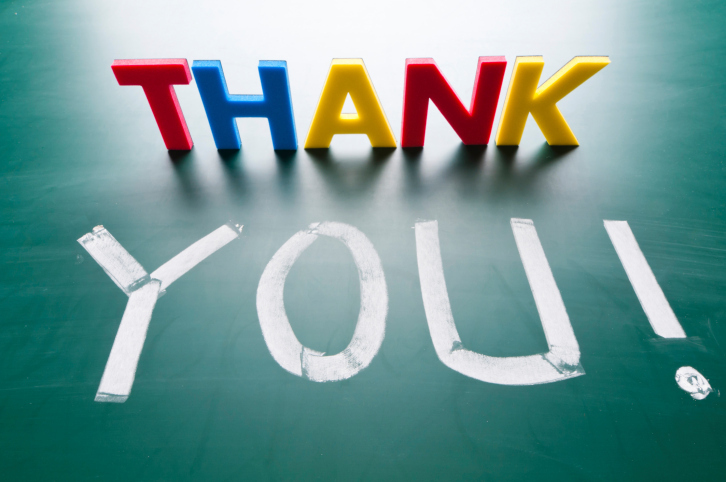 * Send a hand-written thank you card every time someone does business with you. * Reward repeat customers with special deals, exclusive discounts, and coupons. * Send holiday, birthday, or anniversary cards. These simple, pressure-free greetings will help increase top-of-mind awareness throughout the year. * Offer useful information and helpful tips to educate customers and promote your expertise via blogs, newsletters, social media, and the like. * Invite customers to an exclusive appreciation event designed for existing customers. * Collaborate with non-competitive local businesses to create a coupon book or discount program across a range of industries. * Create a customer loyalty program, such as a loyalty punch card, upgrade offers, or cash rewards after reaching a specific purchase level. 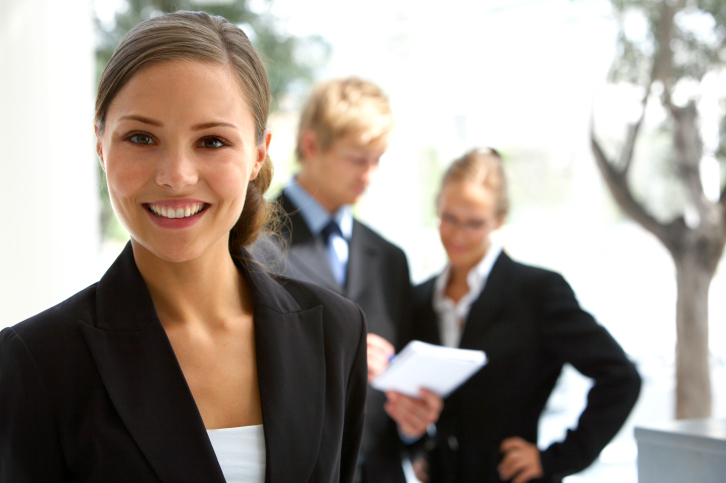 * Respond quickly to customer questions or requests, and follow-up to be sure all questions were thoroughly answered. * Ask for customer feedback in the form of surveys and response cards. * Send out a voucher or postcard for a free gift, redeemable at your business. * Send discounts and coupons “just because” to thank customers for their business. * Include statement stuffer coupons with bills not only as a thank you but also to encourage customers to make additional future purchases. If you’re interested in any of the above print marketing ideas or need help brainstorming the perfect promo to show customers your appreciation, our creative team is eager to help. Give us a call today!